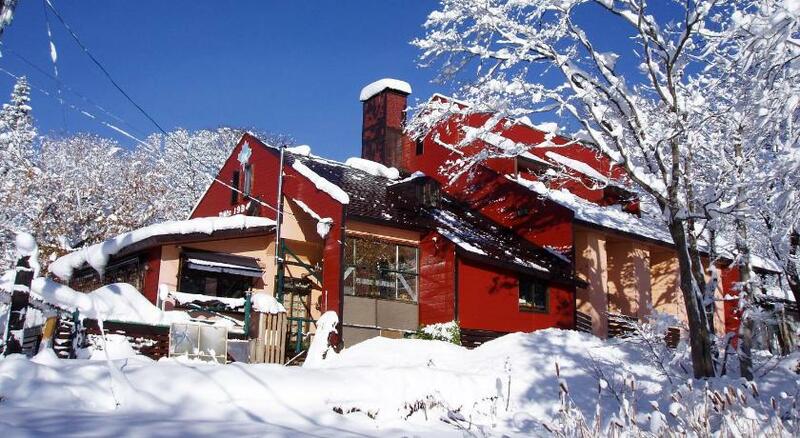 Country Inn Canadian House Myoko is a popular pension that offers both Japanese style and Western style accommodation (including some self contained accommodation) conveniently located between Myoko Kogen and Akakan Resort. Some rooms have an attached bathroom, while other rooms come with a kitchenette and a sofa. There is an English speaking host, along with bike, ski and sports gear hire. Collection fromMyokokogen Station can be arranged and internet access available. Book Canadian House Myoko now! Canadian House is less than 5 mins drive from Akakan Resort but if the owner is free (usually only on weekdays) he will shuttle you to any nearby resorts including Seki Onsen & Madarao. The Myoko shuttle bus also leaves from the corner near the lodge. Plus he will also do a tour to see the Snow Monkeys very cheaply. The owner/chef of Canadian House Country Inn prepares delicious Western courses, while the hotel’s restaurant also offers Japanese rural dishes featuring home-grown seasonal organic ingredients. A grilled barbecue is available in summer, which can be enjoyed on the terrace. Bed and breakfast will usually cost 6,500 a person. However there is a long stay discount. Please check via the booking engine below or send us a request. Book Myoko Canadian House now! 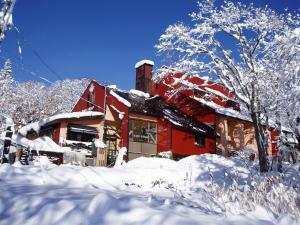 Book Country Inn Canadian House Myoko now!